BCL Chat: What Was Your First Book Love? 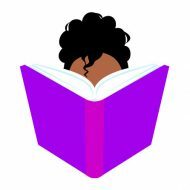 Posted byBlack Chick Lit	 May 4, 2017 March 7, 2018 Leave a comment on BCL Chat: What Was Your First Book Love? If anyone asks, we delayed this episode because we knew you’d need something to get you through the travesty that was the ChumpCare vote today. In this episode of the podcast, we wanted to know your first book. What made you the type of person to listen to two strangers talk books on the Internet? We share rate your responses, make enemies with cab drivers and (somehow) share our first period stories. Trust us, it makes sense in context. Thanks to @charelliam, @whoaskedash, @havuqtefinished, @prettyjoyful08, @unicorninkk, @MonaFeesa, @LocPressedBooks and @diancalondon for their contributions! Got a topic you want us to discuss? Follow us on @blackchicklit and tweet us up! Join us for the next regular episode when we discuss The Hate You Give, by Angie Thomas.